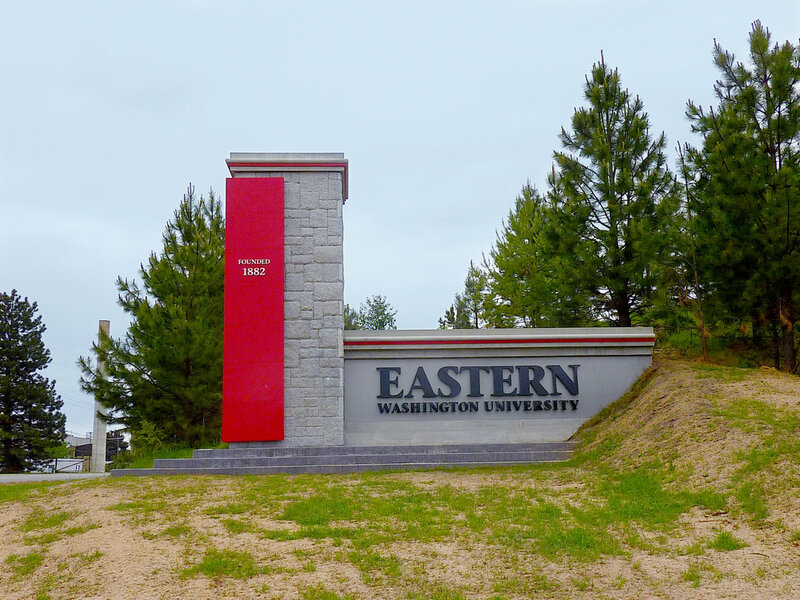 Eastern Washington University (EWU) is a regional, public university that strives to be an institution of opportunity and a driving force for culture, economy and vitality of the Inland Northwest region. As an integrated academic environment that fosters connections among disciplines, between faculty and students, and with the campus and community, EWU required a signage system that would enhance the identity of the university by providing viable solutions that create connectivity, safety, and accessibility. Our team members worked with Jacobs Engineering to design EWU’s campus gateways, identification monuments, and wayfinding signs. Combining traditional stone elements with modern materials, the gateway monuments reflect the university’s desire to honor their past and their traditions and to also illustrate their embrace of change and the future. This system was sustainably designed with solar powered lighting and local material resources. The materials selected will allow for low-cost maintenance, longevity, and durability for many years to come.